Gerald Otley is an agent with Department M-2 of British Intelligence. Forced into service with British Intelligence, Otley doesn't like violence, danger, intrigue, or paying taxes. The first three come to him naturally, though, and he is always trying to figure out how to survive. Lucky for him, the beautiful agent Grace is there to help him stay alive. Otley is a bit of a weasel. He drinks far, far too much, smokes a lot more than he knows he should, has no real means of support, and loves to mooch off of anyone who will let him. He is also a petty thief. 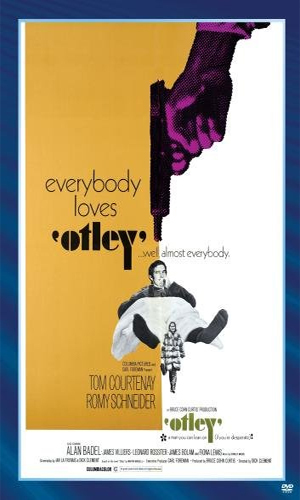 There is no great bank job or armored car heist or museum art robbery for Otley. He likes to go to the homes of rich people he vaguely knows, drink their liquor, eat their food, chat up their lady friends, and pocket expensive little trinkets he sees lying about to pawn for enough to live on until the next soiree he can finagle his way into. His occasional appearances on a stage help keep him being invited to parties where no one really wants to admit knowing him but he does not mind as long as there is liquor, food, and the odd knickknack. If it does not sound like Otley is a great guy, it is because he is not. He is not a bad sod, all told. He just does not like work or responsibilities or laws or anything that might keep him from a life of leisure he has no way of affording. 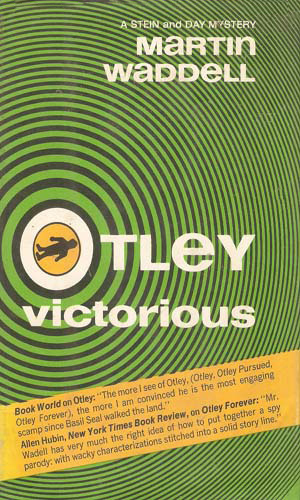 It was a minor act of stealing the wrong thing from the wrong guy that gets Otley into trouble and it is the trouble that gets Otley known to M-2. He does not like being known by them, though, because the nasty people at M-2 want him to do things for them that result in being around nasty men with nastier guns and getting hit in the stomach or kicked where no man wants to be kicked. Otley has a quick mind and quicker hands and can run away with the best of them but he is not the sort of person one would think of as a secret agent. In fact, he is one of the last people one would think of and that is one of the best reasons for M-2 to want him. That and he has quick hands and no scruples that anyone can find. 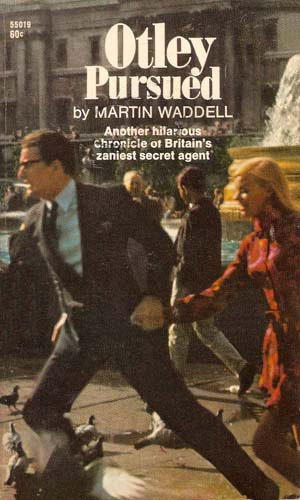 Anthony Boucher of the New York Times Book Review said it best about Otley, "...Otley, second-rate actor, third-rate secret agent, and first-rate opportunist, is Martin Waddell's anti-heroic and entertaining contribution to the gallery of espionage." 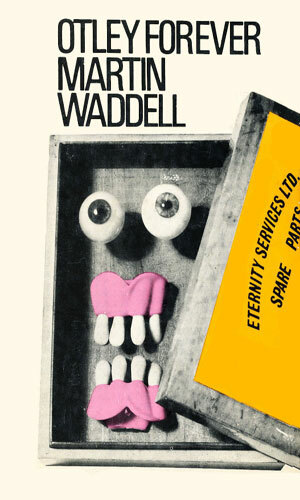 Gerald Otley is at a party where he steals a small figurine and leaves with a friend he didn't like that much. The friend is abruptly murdered, Otley is knocked out, the figurine stolen, and Otley gets involved in a spy caper he wants no part of. It was a very simple assignment that Gerald Otley was given: go to a club in the evening, pick up a small package, and courier it to an address in Notting Hill. Of course, the person he is to deliver it to is dead, no one has heard of the sender, and the package is a bomb. In Dublin, Gerald Otley is told to meet up with another agent, who turns out to be dead. Otley is told to dispose of the body but that never goes well, either. Most annoying is when the dead man turns up alive and asks for more help. In jail for a drunken fight with a policemaid and in trouble with the Inland Revenue, Gerald Otley is pulled out to help protect Windsor Castle from terrorists. 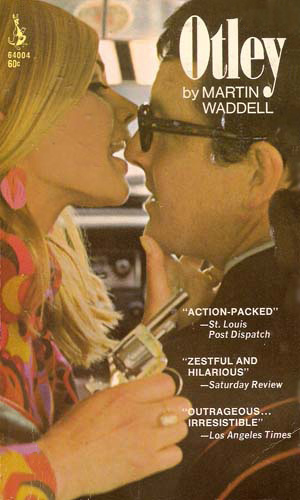 If you are going to have only one movie made about your character, you can be pleased when it is as good as Otley. It is a fun way of spending an hour and a half. The petty thief known as Otley wakes up after a binge to find he is wanted by the police for a murder. After that, the day just gets worse. Foreign agents think he is a double agent. His own government want him to be one. And the police are still after him. In the mid 2000's, NBC gave us the delightful light-hearted spy adventure series, Chuck, in which an out-of-place man is put into difficult surroundings and barely survives with the help of his wits and a beautiful fellow agent. Get and read this fun series. The books are fast moving and the characters are a lot of joy to watch. Well worth the time.